The India's largest car manufacturing company Maruti India has recently launched a new refreshed version of its popular hatchback Maruti Swift in the Indian car market. The new Maruti Swift is available in four variants. The new Maruti Swift price varies with its variants as for the petrol variants the new Swift price is as follows, new Maruti Swift LXi price is tagged at Rs 4.22 lakh, new Maruti Swift VXi and the new Maruti Swift ZXi is available at Rs 4.76 lakh and Rs 5.53 lakh respectively (ex-showroom Delhi). On the other hand the diesel variants price starts at Rs 5.17 lakh for the new Maruti Swift LDi, while the Maruti Swift VDi is tagged at Rs 5.61 lakh and lastly the new Maruti Swift price for the ZDi model its top end variant is tagged at Rs 6.38 lakh (ex showroom Delhi). As far as the new Maruti Swift specifications are concerned the petrol variant of new Swift dressed up with a 1.2 liter K-series engine with VVT which is capable of producing maximum torque of 114 Nm @ 4000 rpm and peak power of 87 PS @ 6000 rpm. Whereas the diesel variant comes housed with a 1.3 litre DDiS engine which generates power of 75 PS @ 4000 rpm and 190 Nm of torque @ 2000 rpm. The new Maruti Swift offers a improved fuel efficiency as with the petrol engine it delivers a mileage of 18.6 kmpl and a decent mileage of 22.9 kmpl with its diesel engine. 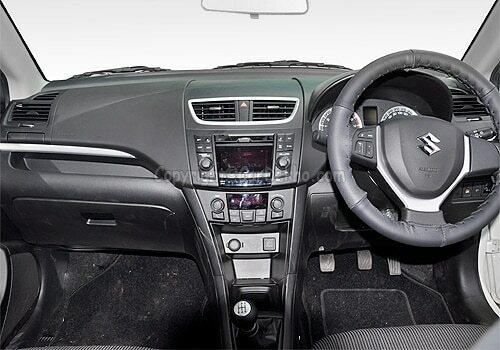 The new hatchback is built on new platform, the new Maruti Swift specifications reveals that this new hatchback is longer and wider than its predecessor. 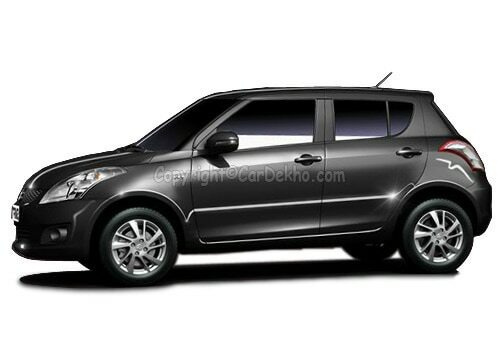 The new Maruti Swift is 90 mm long, 1695 mm wide and a 40 mm wheelbase. In addition to this high standard safety features are included like ABS with EBD technology, Front dual SRS airbags, Increased tensional rigidity in body.